Our services are available in the Bethesda and surrounding areas 7 days a week. Services range from a few hours a day to 24/7, live-in care. Georgetown Home Care provides services for adults (18+) in private homes, assisted living communities, hospitals, skilled nursing facilities, and rehabilitation centers. Our Bethesda-serving office is conveniently located in the Friendship Village area of Chevy Chase. We’re only 5 minutes south of the heart of Bethesda. 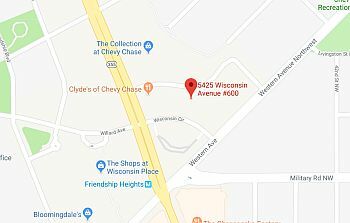 Most Bethesda residents can get to our office quickly by simply driving down Wisconsin Avenue and turning only once, onto Wisconsin Circle.